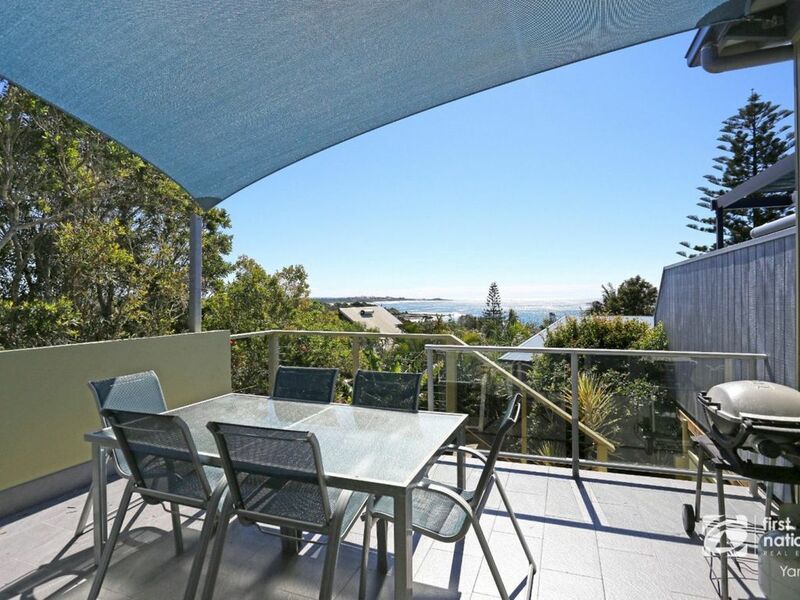 Treat yourself to this special Angourie Beach accommodation, nothing to do, only relax on the deck while soaking up the view to Yamba and sipping on your glass of bubbly. Beach lovers, this is for you! Famous Spooky Beach and Back Beach for surfing and swimming are a short walk away. The minute you step inside this unit you know that you're on holidays. The emphasis here is on relaxation. Sometimes it's the small things that make all the difference, like air conditioned comfort to come home to after that lazy stroll along the beach or the quality linen that is supplied. If you're a coffee lover, tantalise your taste buds with a cup at the local corner shop, or enjoy their beautiful food. Two bedrooms and bathroom and toilet downstairs. The main bedroom opens up onto a private balcony and yard. Open plan living dining and kitchen also opening onto outdoor entertaining and BBQ. Come to Angourie and breathe...its beautiful! Everything you need for a great holiday. Clean and well presented - BBQ needs replacing - We would book Again. We had a lovely time. The unit is very cosy and well appointed. The air con is a bonus - close to all beaches. Very clean and tidy. Well appointed unit great view from deck and nice to have a bbq - Air con great as it is quite a hot unit. Easy walk to the beach. Real Estate great to deal with.